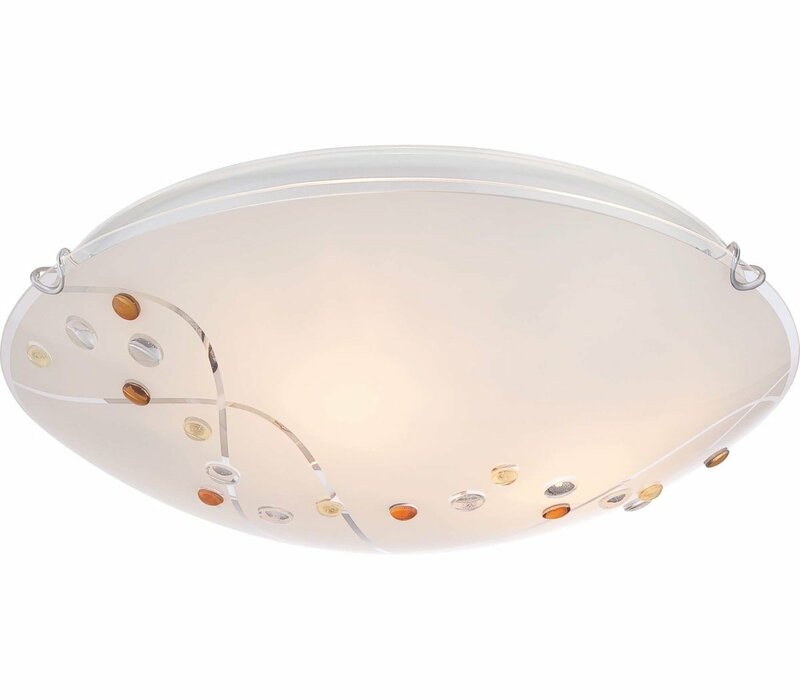 Stellar from the Quoizel Platinum Collection is a beautifully designed floating flush mount. The amber yellow and clear jewels on the shade bring life to the white painted glass and the intricate detail of the two clear swirling lines add a little twinkle to this stunning piece. The Quoizel PCSL1616C Platinum Collection Stellar collection Close to Ceiling Lighting in Polished Chrome uses Fluorescent light output and brings Contemporary style. This item is 4.5"H x 16"W x 16"L. The wattage is 60. 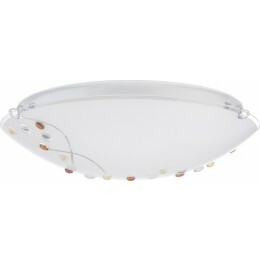 The Quoizel Lighting PCSL1616C requires 3 bulbs (not included). Additional Information: Shade-Etched Glass Painted White Inside.